Arman Zazyan began his ballet training in his birthplace of Yerevan, Armenia. In 2003, he moved to Stuttgart, Germany to continue his ballet education at the John Cranko School. 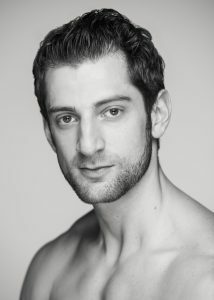 Arman joined Stuttgart Ballet in 2004, was promoted to Demi-Soloist in 2007 and Soloist in 2012. While in Stuttgart, he performed soloist roles in works such as Bolero (Béjart), Romeo and Juliet (Cranko), Othello (Neumeier), Slice to Sharp (Elo), The Vertiginous Thrill of Exactitude (Forsythe), The Four Temperaments (Balanchine), La Fille mal gardée (Ashton), Dances at a Gathering (Robbins) Orlando (Goecke), and Lulu (Spuck), among many others. Arman has performed as a guest artist in Germany, Russia, Italy, Belarus and Armenia. He joined Tulsa Ballet as a Senior Soloist in 2015 and was promoted to Principal in 2016. 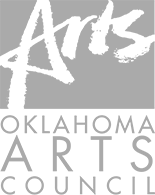 Since coming to Tulsa, Arman has danced the lead role in The Taming of the Shrew (Cranko), The Nutcracker (Angelini), Onegin (Cranko) and Don Quixote (Holmes). He has also performed in works by noted choreographers Nacho Duato, Jiří Kylián, and Wayne McGregor, to name a few. In 2009 he was finalist at the Helsinki competition, and won the Vaganova Prize in 2002.